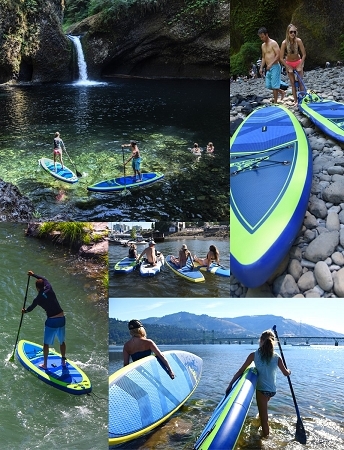 Unpack, pump-up, hop on and have fun: riders will love the quick and easy setup of Slingshot’s line of inflatable boards, and the convenience of a full-size, full-performance SUP that fits into a backpack. 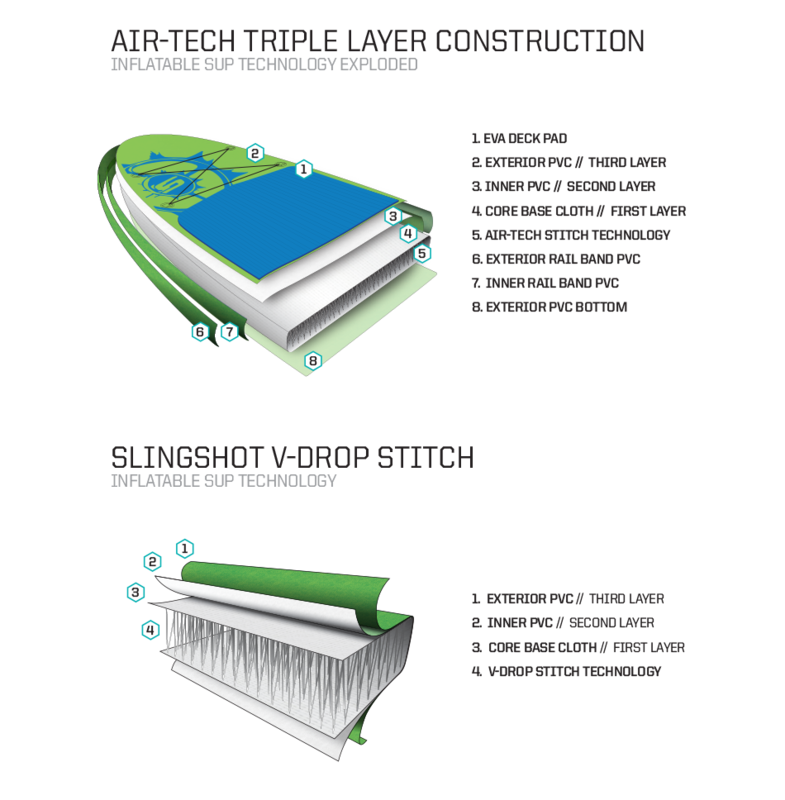 The Air-Tech 11’ - the longer of our two inflatables – is 34.5” wide, 6” thick and has a volume of 320 liters. 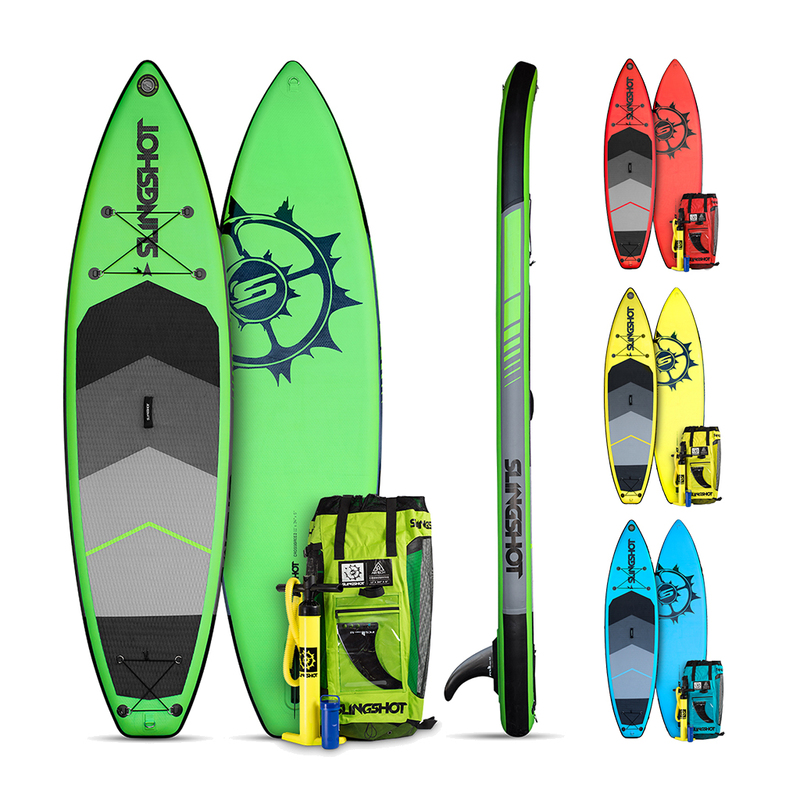 Like the 11’ version, the 10’ Air-Tech Crossbreed offers paddlers a solid all-around board in a compact and easy-to-use platform that condenses into a backpack. The 10’ version is 33” wide, 6” thick and has a volume of 272 liters; the ideal choice for lighter riders or those looking to cross-over to small waves. 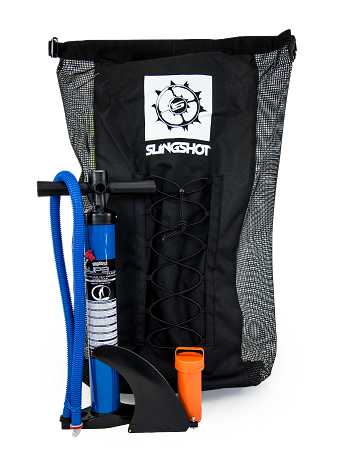 Modeled after Slingshot’s high-performance Crossbreed SUP, the Air-Tech version incorporates cutting-edge shell and stitching technology that allows for a hard-board rocker and shape in an inflatable. Compact enough to be carried in a backpack but solid enough to out-perform any inflatable on the market, the Air-Tech Crossbreed is the perfect choice for riders looking for a great all-around board in a highly portable package. 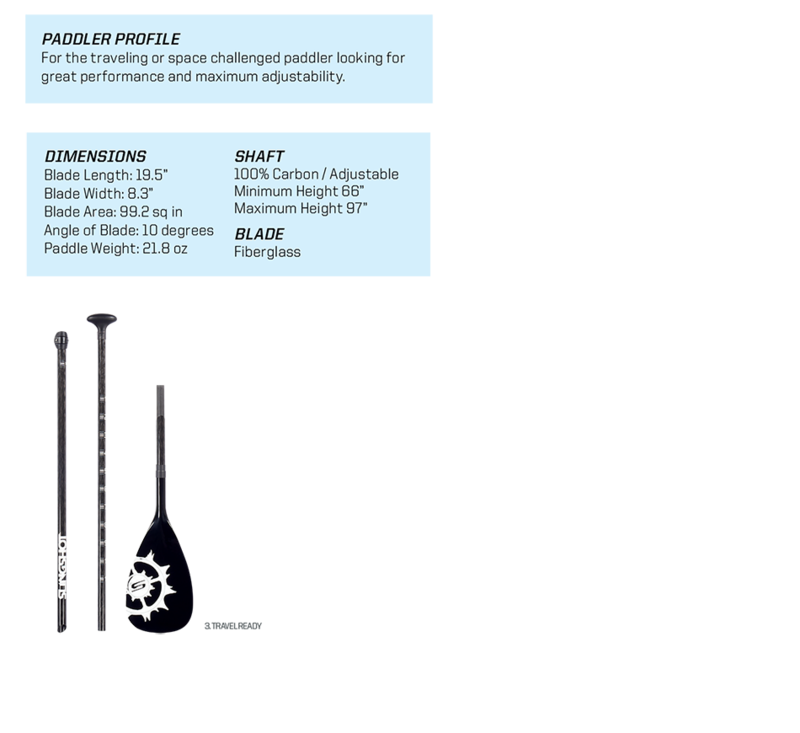 Make your board purchase complete with the Carbon/Fiberglass Slingshot 3-Piece Travel Paddle. With a huge adjustment range and its ability to break down for easy travel, its the perfect compliment to an inflatable board!